Are you a member or coordinator of a community group? 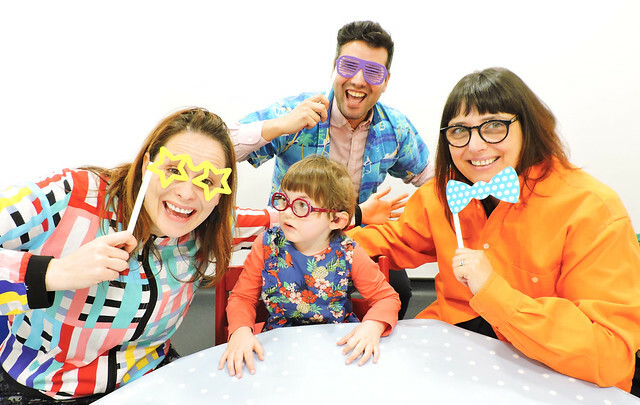 Why not suggest wearing your loudest shirts on Friday 7th June 2019 to help create a sound future for deaf children?! Register and order our fundraising pack full of loud materials to help your community group understand more about deafness and its impact, along with fun ideas and helpful tips to assist you in running a successful day. Wear a loud shirt at your meeting closest to the 7th of June 2019 and ask everyone to donate! Why not also have a bake sale? You could put on a quiz and ask everyone to donate £2. Your community group could meet up and do an activity you don’t usually do, like going for a walk or karaoke, with everyone donating £2. Please post on social media using the tag #LOUDshirtday or email us a photograph of your group getting loud to support deaf children!